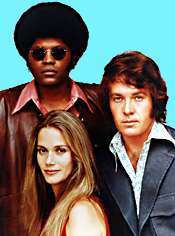 Peggy Lipton rose to stardom as Julie Barnes, a hippie undercover cop on The Mod Squad, which aired on the ABC network from 1968 to 1973. Thin and waifllike, with straight, long blond hair, Peggy wore mini-skirts, bell bottoms, and love beads on the show. Her vulnerable appearance resonated with television audiences. Margaret Ann "Peggy" Lipton was born August 30, 1946 in New York City to a Jewish family. Her father was Harold Lipton (1911-1999), a corporate lawyer, and her mother was Rita Benson (1912-1986), an artist. Rita was born in Dublin, Ireland to Jewish parents who had emigrated from Eastern Europe. Peggy and her two brothers were raised in Lawrence, New York, on Long Island. Her older brother, Robert Lipton (born November 20, 1943), is also an actor and her younger brother, Kenneth Joseph.Lipton (born May 27, 1948) was a businessman who died in 1998. Peggy attended Lawrence Junior High School. As a child, she was shy and introverted. She spoke with a nervous stutter, at times having difficulty even saying her own name. According to her 2005 memoir, Breathing Out, she was sexually abused by an uncle. Peggy's father arranged her first modelling jobs in New York and her mother encouraged her to take acting lessons. At the age of 15, she became a Ford Agency model. In 1964, the Lipton family relocated to Los Angeles, whereupon Peggy signed a contract with Universal.Pictures. The next year, at the age of 19, she made her first foray into the world of television with guest appearances on four TV series: She played a secretary in an early episode of Bewitched entitled "Your Witch is Showing" (Season 1, Episode 20, Air Date: February 4, 1965). She portrayed a character named Selma in the classroom drama Mr. Novak starring James Franciscus ("And Then I Wrote . . . ," Season 2, Episode 29, Air Date (April 20, 1965). She also appeared in The Alfred Hitchcock Hour as Mary Winters in an episode entitled "Night Fever" (Season 3, Episode 28, Air Date: May 3, 1965) and The John Forsythe Show, an NBC comedy,.in an episode entitled "Super Girl" (Season 1, Episode 9, Air Date (November 15, 1965). In 1966, Peggy played the role of Dulcie Colby in an episode of The Virginian. In 1967, she made appearances in such television series as The Magical World of Disney, Bob Hope Presents the Chrysler Theatre, The F.B.I. and The Invaders. Her big break came when she was cast as flower child Julie Barnes, a hip undercover cop in the hit series The Mod Squad., alongside Michael Cole and Clarence Williams III. The trio was young and hip and television audiences loved them. During the late 1960s and early 1970s, as detailed in Breathing Out, Peggy Lipton had relationships with a string of abusive, alcoholic or married men. She also used drugs during this period. For a time, Peggy lived with Grammy Award-winning record producer Lou Adler, However, the great love of her life was another award-winning record producer and composer - Quincy Jones/ Quincy was almost 14 years her senior and on their first date, he cooked lamb chops for vegetarian Peggy. The couple's biracial romance was highly publicized. Quincy's daughter, Jolie, introduced her father to Peggy and they wed on September 14, 1974 (her first marriage, his third). The ceremony took place in the garden of Peggy's parents' Beverly Hills home, the day after Quincy's divorce from his second wife, Swedish model Eula Andersson, became final. Peggy and Quincy had two daughters, Kidada Ann Jones (born March 22, 1974) and Rashida Leah Jones (born February 25, 1976), but their marriage did not last. They separated when Rashida was ten years old and officially divorced in 1990. Quincy Jones had his share of health issues during his years with Peggy. In 1974, he had two brain aneurysms and underwent two operations that left six steel pins in his head. After the second aneurysm, he was given a 50-50 chance survival. He and Peggy were newlyweds at the time and Peggy was breastfeeding their baby daughter, Kidada. Quincy beat the odds and lived. However, in he mid-1980s, he suffered from depression, which caused him to have a nervous breakdown (his mother suffered from a debilitating mental illness that could have been controlled by medication today). In 1982, Quincy achieved great success by producing Michael Jackson's Thriller album. According to Peggy, her husband's life changed after his success. "The popularity made demands on his time and his life, and he had to change to meet them," she told People magazine. "Eventually it just wasn't working as a marriage anymore," she said. "It was a mutual decision based on a lot of things. By '86, he was doing his own thing, and I was doing mine. It was over." When Peggy Lipton was 39 years old, she returned to television after a self-imposed fifteen year exile (The only exception was her appearance in the 1979 TV reunion movie, Return of the Mod Squad, which she made as a favour to producer Aaron Spelling). 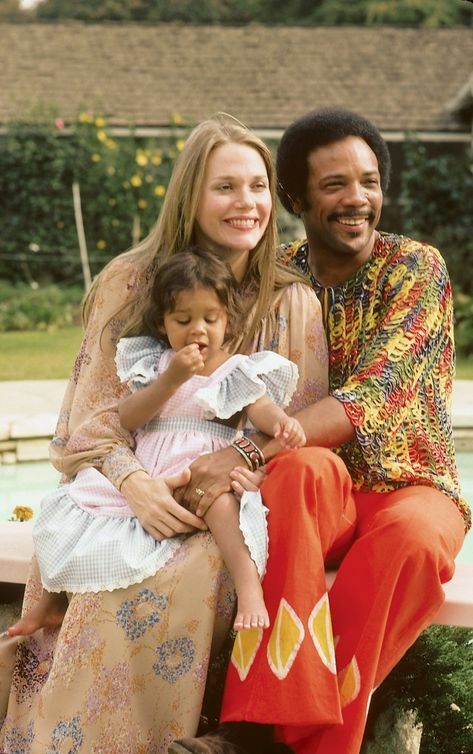 During her time away from acting, Peggy raised her two children, lost her mother, with whom she had been close (Rita died of lung cancer in 1986), and ended her marriage to Quincy Jones. She made her comeback in a TV movie, Addicted to His Love, which aired on ABC on March 28, 1988. The movie starred Larry Hagman and Polly Bergen and Peggy played an Assistant District Attorney. When asked by People magazine why she was making a comeback, Peggy replied, "Why not? I had a great marriage, but it's over, and acting is what I know best how to do. When I met Quincy in 1973, I was exhausted and burned-out.from Mod Squad. He never said I should stop working, but there was never a doubt in my mind I was going to. 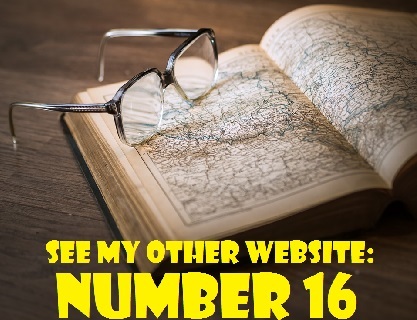 I wanted children very badly, and I knew I couldn't do both well. This doesn't mean it would be that way for other mothers, but that's how it was for me," She added that when she separated from Quincy in 1986, she thought, "I couldn't just shop all day." She also stated that her children supported her decision to return to television and that her late mother "always wanted me to go back into acting, and now I'm doing it." In 1989, Peggy Lipton portrayed Norma Jennings in in the pilot for David Lynch's surreal drama Twin Peaks, a series that chronicles the mysterious happenings in a quaint northwestern American town. Peggy then appeared as Norma on the show's two seasons on ABC, from 1990 to 1991. Twin Peaks was cancelled after its second season due to declining ratings, but Peggy resumed her role as Norma Jennings in the 1992 feature film prequel to the television series, Twin Peaks: Fire Walk with Me. In 2017, Peggy one again played Norma in new episodes of Twin Peaks: The Return, which continued the story of the inhabitants of Twin Peaks, 25 years after their homecoming queen, Laura Palmer, was murdered. Below is a photo of Peggy in a promo for the first season of Twin Peaks. In 2002, Peggy and daughter Rashida performed in the play Pitching to the Star, along with Peggy's brother, Robert. Four months later, 56-year-old Peggy was diagnosed with colon cancer. She had undergone a routine colonoscopy and her doctors discovered a Stage III tumour. As a result, she underwent surgery and chemotherapy. * For her role as Julie Barnes on The Mod Squad, Peggy Lipton earned four Emmy nominations and four Golden Globe nominations. In 1971, she won the Golden Globe Award for Best Actress a Television Series Drama. * Peggy Lipton enjoyed some success as a singer. Three of her singles appeared on the Billboard Charts: "Stoney End" (which became a hit for Barbra Streisand in 1970), "Lu" (1970) and "Wear Your Love Like Heaven" (1970). "Stoney End" and "Lu" were both written by Laura Nyro and "Wear Your Love Like Heaven" was written by Donovan. * Peggy was co-writer (along with Quincy Jones and Alan and Marilyn Bergman) of the song, "L.A. Is My Lady," that Frank Sinatra recorded and released in 1984. * In 2007, Peggy guest-starred as a character named Fay in an episode of the TV comedy Rules of Engagement. The episode is entitled, "A Visit from Fay" (Season 2, Episode 9, Air Date: November 19, 2007). 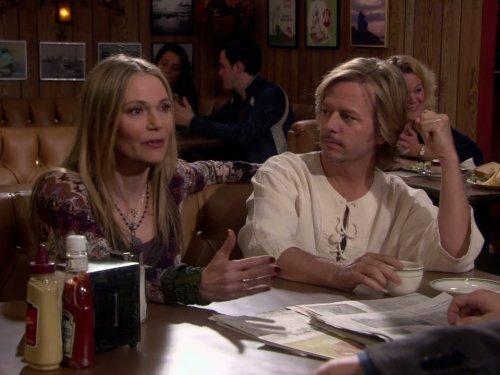 Peggy with David Spade in Rules of Engagement (2007). * Robert Lipton's list of television and film credits includes Bullit, Die Hard 2, The X-Files and Melrose Place. His former wife is actress Marie Masters. * Peggy's brother, Kenneth died in Las Vegas, Nevada in 1998 at the age of 50. At the time of his passing, Kenneth had been a Vegas resident for eight years and owned a mortgage company. 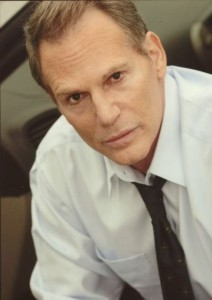 According to his September 3, 1998 obituary in the Los Vegas Sun, Kenneth Lipton was "survived by his wife, Brandy, one son, Trevor Baker; two daughters, Justine Lipton Copus and Jennifer Lipton; his father, Harold Lipton, one brother, Robert Lipton; one sister, Peggy Lipton-Jones; and one grandchild." * Quincy Jones never remarried after his divorce from Peggy Lipton. He has seven children with five different women, including daughter Jolie from his first marriage to Jeri Caldwell, two children from his second marriage to Ulla Andersson (a daughter named Martina and a son, Quincy Jones III, who is a music producer and author). Quincy also has a daughter named Rachel Jones from a brief relationship with Carol Reynolds and a daughter, Kenya Jones (born 1993), with German actress Nastassja Kinski,(they dated and lived together in the 1990s). * Kidada Jones is an actress, model and fashion designer. Kidada attended the Fashion Institute for Design and Merchandising in Los Angeles. She left at the age of 19 to work with designer Tommy Hilfiger. She now works for the Walt Disney Company as a designer and has her own line, known as Disney Couture. From 1992 to 1994, Kidada Jones' boyfriend was hip hop artist LL Cool. J. In 1996, she lived with rapper Tupac Shakur for four months until he was fatally shot in Las Vegas on the night of September 7. He died in hospital of internal bleeding on September 13th. Kidada described Shakur's killing as "the most horrible thing that ever happened to me." In 2003, Kidada married actor and writer Jeffrey Nash. They divorced in 2006. * Rashida Jones is known for her role as Ann Perkins on the NBC comedy series Parks and Recreation. She also portrayed Karen Filippelli NBC's The Office. In addition. she portrayed Louisa Fen on the Fox drama series Boston Public. Since 2016, Rashida has played the lead role n the TBS comedy series Angie Tribeca. In 2017, Peggy appeared in an episode of Tribeca. 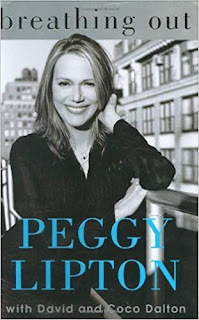 Peggy Lipton's 2005 autobiography, Breathing Out, was co-written by David and Coco Dalton.